Yamammoto was born in 1943 in Yokohama, Japan. He studied English at the Nipppon University. Subsquently, he graduated from Keio University, in 1966. He then attended Bunka Fukuso Gakuin, the Japanese College of Fashion, for 2 years till 1968. Here he studied under Chie Kolke, who attended Paris' l'Ecole with Yves St. Laurent. He started out making clothes for his mother's friends in their Tokyo neighbourhood in the late 60's. Before Yamamooto, dressmakers were tradesmen to be treated as humble people. Not him. He had taken an extended tour of Europe, including a stay in Paris and he felt that designing clothes was as creative as painting. After working as a freelance designer for 4 years, Yamamoto formed his own company in 1972 and showed his first collection in Japan in 1976. The presentation of his shows made him famous, dramatic clothes were shown in an exciting environment. By blending the vigorous, exotic and powerful designs of traditional Japanese dress with Western daywear, he achieves a unique, abstract style. He designed clothes that could be loosely layered in a way that was comfortable, smart and strangely elegant. Everyone wanted to wear the hard rigid shapes coming out of Paris, but he made something different. By the mid-70's, he started mixing with Rei Kawakubo and they became involved both creatively and romantically, in a relationship that still survives on a platonic level to this day. In 1981, Yamamoto opened his boutique in Paris. Uproar greeted his first shows. There just had not been anything like those black, billowing, layered clothes ever before in Paris. Now, he has been proved right. His clothes are successful worldwide. He has also started showing his ready-to-wear collections. In 1999, his final wedding dress was topped by a hat so big that 4 men were required with long poles to hold it upright. In Fall 2000, he had a one-season sneaker deal with Adidas. Yohji has entered into a collaboration with Sports Shoe maker Adidas and in October 2002, he brought out the first collection under the new name. From April till August 2005, an exhibition of Yohji's work is being held at the Pitti Palace's Galleria d'Arte Moderna in Florence, Italy. The curator Olivier Saillard has positioned Yamamoto pieces in front of, or in contrast to the gallery's artworks, many of which date from the Renaissance. 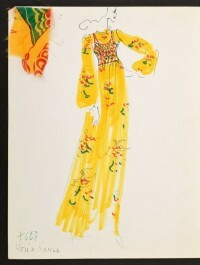 The exhibition will move on to Paris, to the Musee de la Mode et du Textile, in the Autumn. 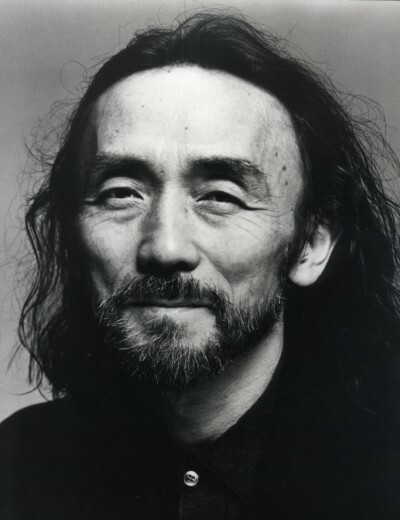 In the early 1970's, Yohji Yamamoto created Y's, his first line. The first show ran in Tokyo, 1977. Yamamoto is an uncompromising non-traditionalist Designer. He swathes and wraps the body in Unstructured, loose, voluminous garments, Similar in style and philosophy to those of Rei Kawakubo. Many of his clothes have additional flaps, pockets and straps. 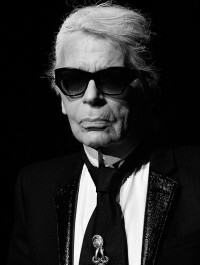 He is now famous for his minimalist, all-black clothing, perfect for those in search of 'no frills' formal garments. The Y’s collection for women reflected typical men's garments, as the clothes were cut in uncluttered shapes with washed fabrics and dark colors. These clothes expressed a functional elegance and sobriety that Yohji Yamamoto would reaffirm a few years later with Y's for men. Today, Y's and Y's for men have taken their place as practical, day-to-day wear beyond the bounds of fashion and shifting trends. In the Yohji Yamamoto collection the fabric is always the foundation of his design and the superposition of clothing is what best defines his silhouette Yohji Yamamoto's style was destructured and ample at the beginning, evolving through time into a more structured, fitted silhouette in a spirit of couture -with- a- twist. Yohji Yamamoto + Noir collection is based on classic and timeless pieces of the Yohji Yamamoto line. Each season a part of the collection changes, while the other part remains the same.Yohji Yamamoto +Noir is almost entirely black with an unusual punctuation of bright colours.